Kitchen Exhaust Hood Cleaning in Manhattan Beach CA | Flue Steam Inc.
At Flue Steam, we have the expertise and experience required to help you comply with many kitchen fire safety regulations. We’ve been around for over 40 years, and during that time we’ve successfully adapted to each new code change. We can provide thorough kitchen exhaust system steam cleanings, as well as frequent kitchen exhaust hood cleaning in Manhattan Beach CA. After we service your system, we can provide the Certificate of Performance stickers you need to satisfy code inspectors and your insurance company. 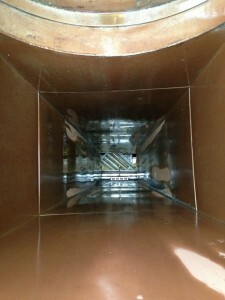 Do You Need Kitchen Exhaust Hood Cleaning in Manhattan Beach CA? 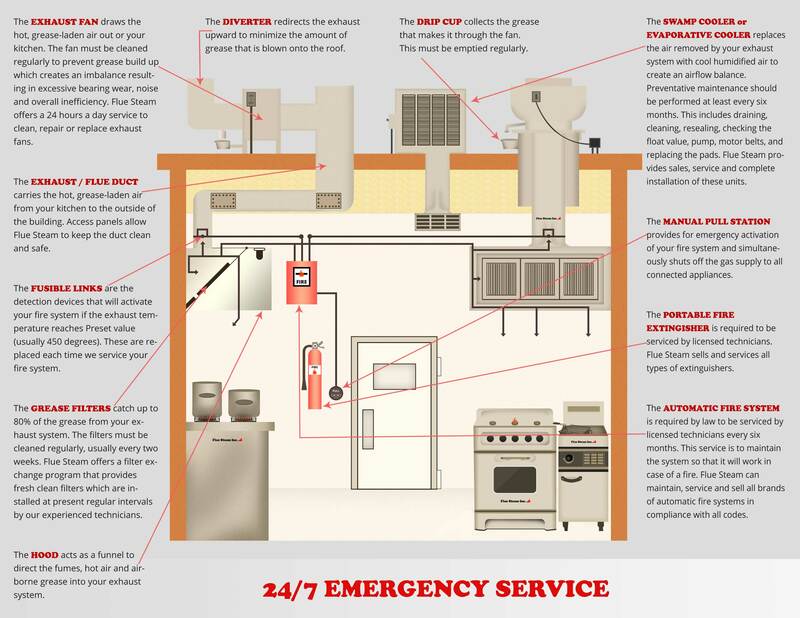 Managing grease buildup in your kitchen exhaust system can be tricky. You want to keep the buildup from exceeding safe levels, but at the same time you don’t want to pay for unnecessarily frequent service. Hand-scraping is very a very effective and economical way of getting your kitchen exhaust hood cleaning in Manhattan Beach CA done. We can check the grease levels before and after we work, which will help us adjust the frequency of your cleanings to provide the best value. Ideally, we will be performing the cleaning right before the grease buildup in your hood reaches the danger mark of 0.125”, and reducing that buildup down to the desired level of 0.002”.